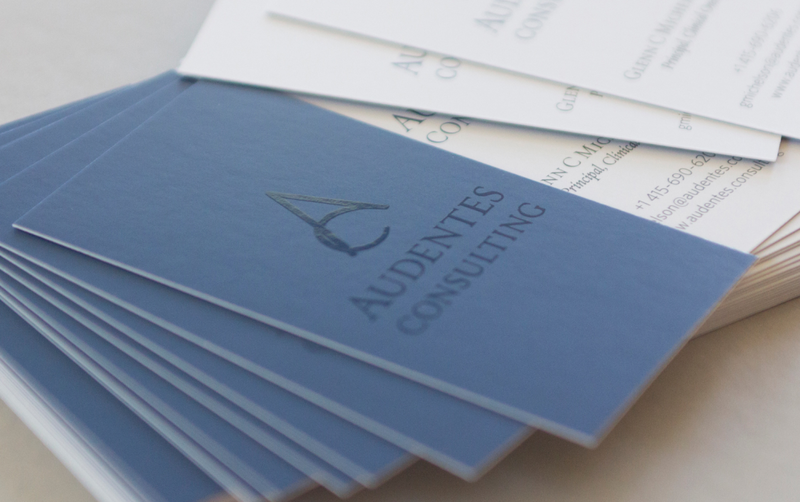 Audentes comes from Latin and roughly translates to “fortune.” The client envisioned a monogram that would communicate the idea of security and fortune without favoring a particular market. I looked at their target markets and found some similar lifestyle themes and educational backgrounds to create a profile Then I worked in brush and ink to develop the monogram with the A encircled by the C. Inspired by the Latin, Audentes, I came up with the concept of Audentes Consulting being like the Romans with their vantage point on the expanding world. I researched a typeface inspired by the chiseled lettering typical of Roman inscriptions. This also satisfied two of their main client groups in the financial and academic worlds. Both tend to draw on classic Roman design elements to create a feeling of trustworthiness, wisdom, and power.